Dragons, Mammoths and Unicorns. Sweet and cuddly. 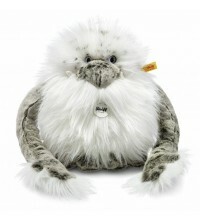 Steiff EAN 015199 Nrommi Yeti, 45cm. Nrommi Yeti is 45cm tall and made out grey tipped and white plush. Nrommi can be washed by hand and has the CE mark for safe toys. Nrommi Yeti has a stainless steel button in his left ear. 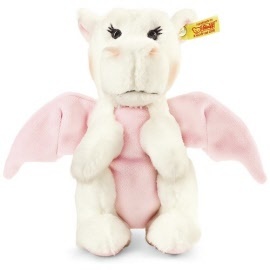 Steiff EAN 015113 Rosali Baby Dragon, 20cm/8". 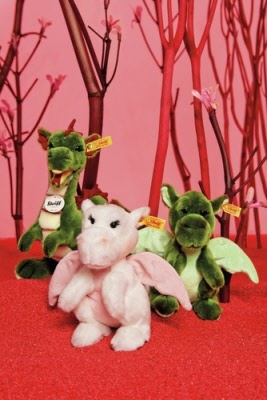 Rosali is made out of cuddly white and pink coloured plush. She is filled with synthetic filling material and pellets. She has safety eyes and eyelashes. Rosali is machine washable at 30 degree C and has the CE mark for safe toys. Steiff toys have a gold plated button in their left ear. Steiff EAN 015120 Kian Baby Dragon, 20cm. 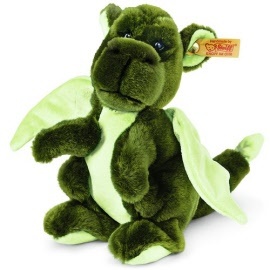 Kian is made out of cuddly darkgreen and light green coloured plush. He is filled with synthetic filling material and pellets. He has safety eyes. Kian is machine washable at 30 degree C and has the CE mark for safe toys. Manni is made out of cuddly brown coloured plush. He is filled with synthetic filling material. He has safety eyes. Manni is machine washable at 30 degree C and has the CE mark for safe toys. 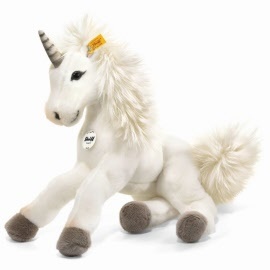 Steiff EAN 015106 Starly Unicorn, 16cm. Starly is made out of cuddly white coloured plush. She is filled with synthetic filling material. She has safety eyes. Starly is machine washable at 30 degree C and has the CE mark for safe toys. 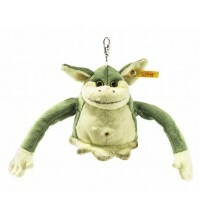 Steiff EAN 112478 Edric monster pendant, 10cm. Steiff Edric is 10 cm. / 4" tall and made out green plush. Steiff Edric pendant has a stainless steel button on the left ear. 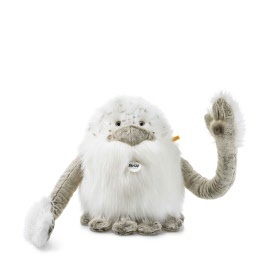 Steiff EAN 015151 Nrommi Yeti monster, 25cm. Steiff Nrommi is 25 cm. 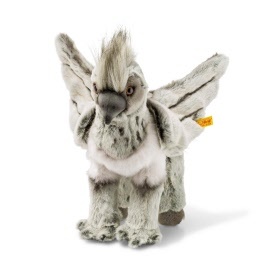 / 10" tall and made out grey tipped and white plush. 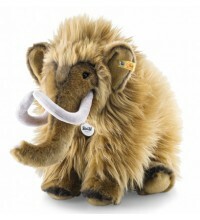 Steiff EAN 082429 Mimmi Mammoth, 38cm. Steiff Mimmi is 38 cm. / 15.2" tall and made out of cuddly russet plush. 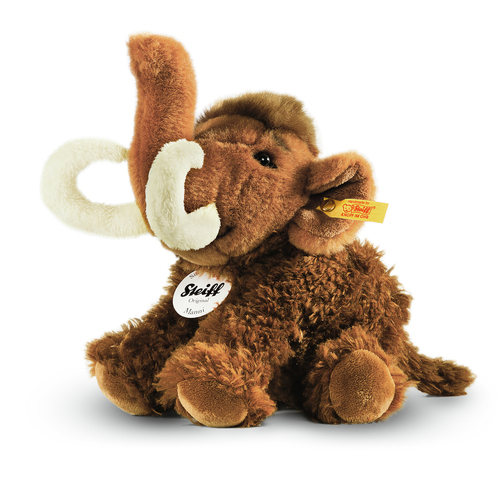 Steiff Mimmi has safety eyes and white plush tusks. This Steiff animal is machine washable at 30° C.
Steiff Mimmi is 100% safe for you child. A Steiff animal has a stainless steel button in her left ear. Starly dangling Unicorn is 35 cm big and is made of white cuddly soft plush with airbrush details. She is laying, has safety eyes and is stuffed with synthetic filling material. She is machine washable at 30° C and has the CE mark for safe toys. injures Draco Malfoy during Hagrid's Care of Magical Creatures class, he is sentenced to death.